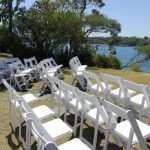 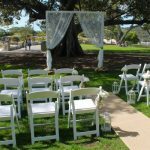 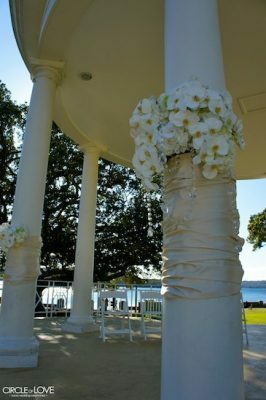 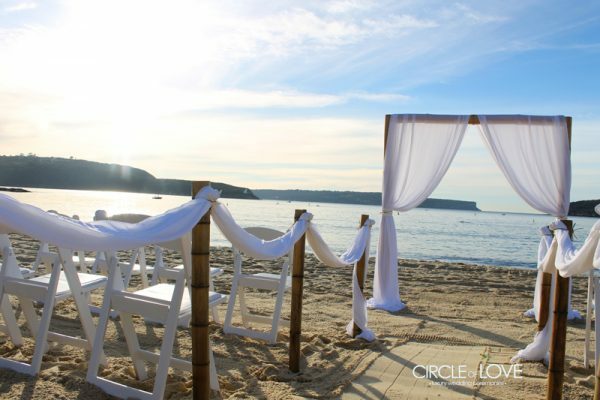 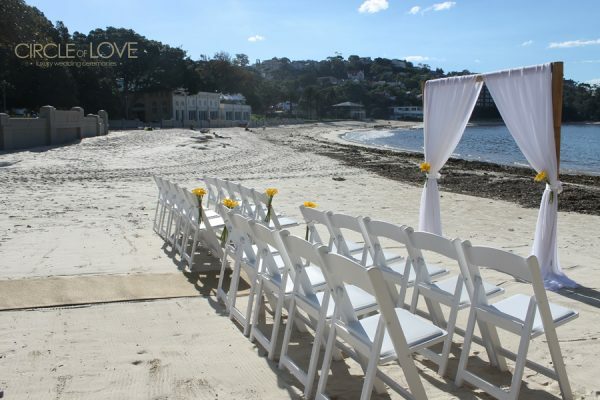 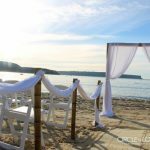 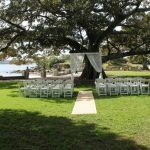 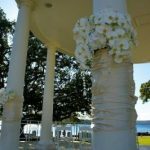 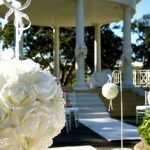 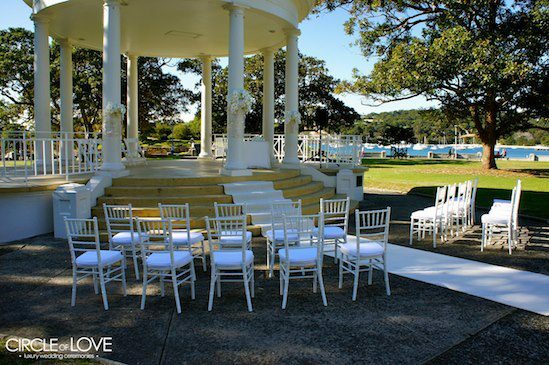 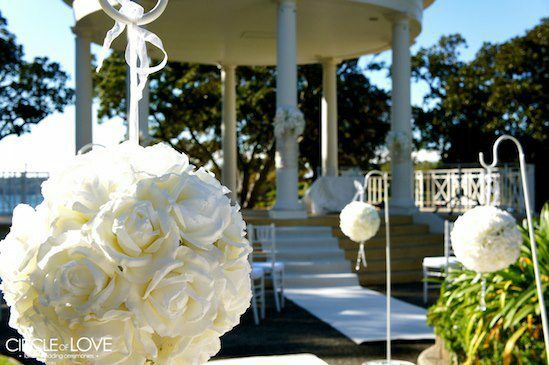 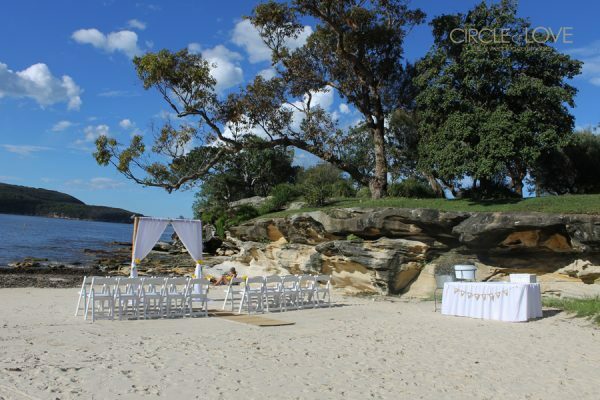 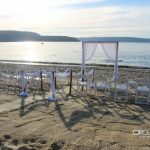 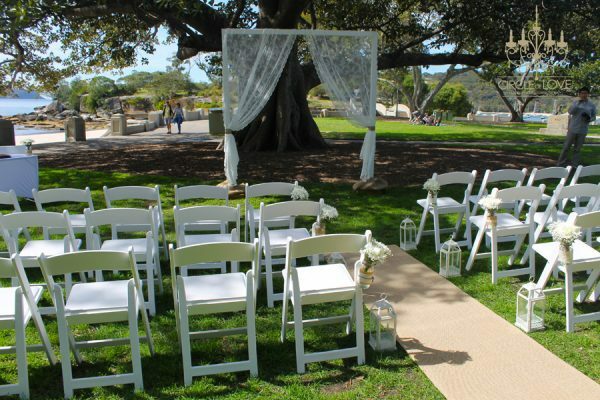 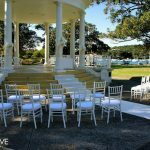 A Balmoral Rotunda Wedding ceremony is the most elegant of locations close to the beach. 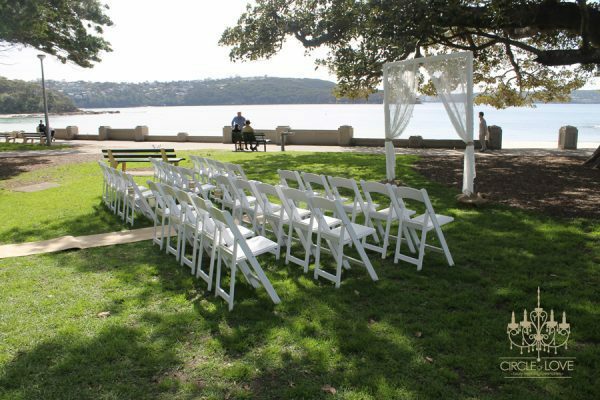 Balmoral Reserve is a lovely location and when hired, as a bonus, the Balmoral Rotunda is included as a wet weather option. 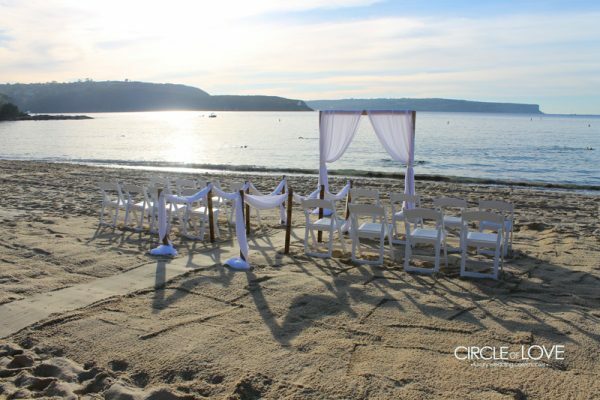 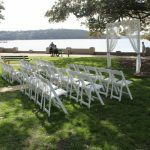 Balmoral Beach is a beautiful setting with views across the harbour towards Manly. 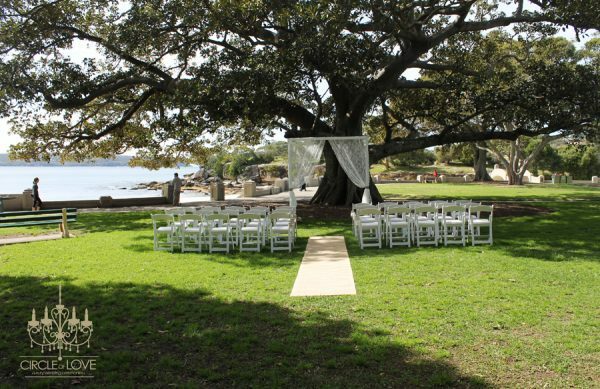 The esplanade stretches along Balmoral beach and has many beautiful cafes and shops. 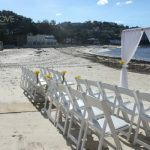 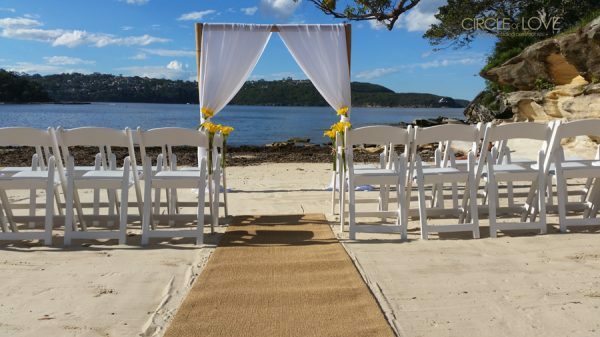 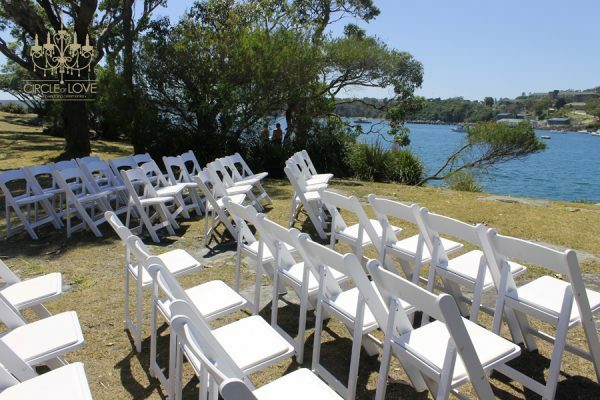 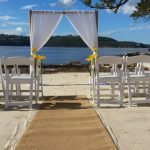 There are a few areas along Balmoral beach available for hire. 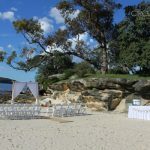 Rocky Point Island, which can be accessed by a small bridge is very close to the main park and beach and features rocky outcrops.